LOS ANGELES, CA (May 25, 2010) – Street League Skateboarding™ announced today that DC and Monster Energy will present the highly anticipated 2010 series. The DC Pro Tour fueled by Monster Energy is a prestigious, invite-only three-event series featuring 24 of the best skateboarders in the world. Founded by twenty-year professional skateboarder and entrepreneur, Rob Dyrdek, Street League™ is truly the future of competitive street skateboarding. Street League™ is also proud to announce TheBerrics.com, the most visited skateboarding site in the world, as Street League™’s official online video destination. The Skateboard Mag™ has been designated the official magazine partner for the series. Street League Skateboarding™ features the exclusive participation of twenty-four of the best street skateboarders in the world. To assist their transition into the league, each pro has been given the option to compete in two non-sanctioned wildcard events until the end of 2010. Beginning in 2011, the pros will compete exclusively in the Street League™ series and other Street League™ sanctioned events worldwide. Using real time scoring and an exciting proprietary competition format, Street League™ will tell a compelling story about each skateboarder’s performance and will have fans on the edge of their seats from the first trick to the very last. 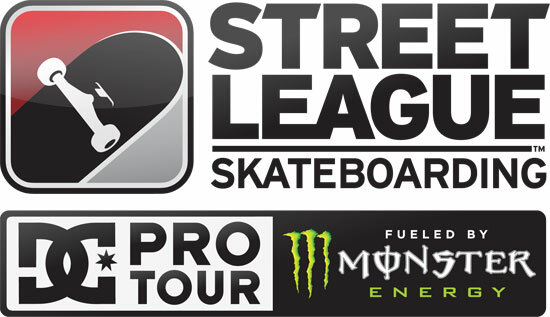 The inaugural year of Street League™ features a 3-stop arena tour beginning at Jobing.com Arena in Glendale, Arizona on August 28th, Citizens Business Bank Arena in Ontario, California on September 11th, and the final stop in Las Vegas at the Thomas & Mack Center on September 25th. The skaters will be competing at each event for a total purse of $1.2 million. Founded by Ken Block and Damon Way in 1993, DC quickly grew to a leader in performance skateboarding shoes and renowned action sports brand. Today DC stands as a global brand whose product line has expanded to include men’s, women’s and kids’ skateboarding and lifestyle shoes, apparel, snowboards, snowboard boots, outerwear, and accessories. As one of the cornerstones of its marketing strategy, DC has built a world-class team of professional skateboarding, snowboarding, surfing, BMX, motocross and rally athletes that exemplify and enhance DC’s brand, develop its signature products, and support its promotional efforts. DC is a subsidiary of Quiksilver, Inc. Refusing to acknowledge the old, the worn and the traditional, Monster supports the scene. Be it skateboarding, BMX, surfing, motocross, wakeboarding, snowboarding or rock and roll, Monster is a brand that believes in authenticity, sincerity and getting down to the very core of what our sports, athletes and musicians represent. Monster is a way of life lived and led by our athletes, sports, bands, fans and believers. Street League Skateboarding™ is the first sports entertainment property that gives professional street skateboarding its very own league for individual competition. Street League™ features the exclusive participation of the world’s best professionals, over $1MM in prize money, and real skate plaza course design inside world-class arenas. Driven by the need to enhance the experience of live professional street skateboarding, Street League™ utilizes real-time scoring and a proprietary format that makes every trick count. Street League™ is the brainchild of twenty-year professional skateboarder and entrepreneur, Rob Dyrdek. More information is available at www.streetleague.com.